We will succeed beyond any possibility of doubt. If anyone doubts this, let them leave now. That’s Field Marshal Montgomery upon assuming command of the British 8th Army in North Africa in 1942. Morale was in the sub-basement. The 8th Army had suffered repeated defeats at the hands of German General Rommel. 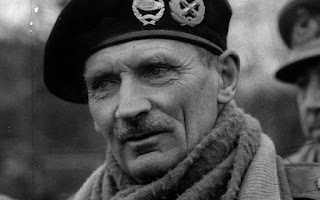 Montgomery, in his trademark black beret, made a great effort to appear before troops as often as possible, frequently visiting various units and making himself known to the men. He exuded confidence and energy, based on deep knowledge and experience. Fellow generals, Brooke and Alexander, were astonished by the transformation in atmosphere when they visited on 19 August, less than a week after Montgomery had taken command. What’s this got to do with business transformation? Change is hard, change hurts. You lose more battles than you win. ”Fall down seven times, get up eight…” our Toyota senseis taught. General Montgomery exuded kaizen spirit – the indomitable feeling that we will prevail, in spite of everything. Cheerfulness is a big part of kaizen spirit. Not the shallow, Pollyanna version, but cheerfulness based on a frank, mature assessment and acceptance of reality, warts and all. Kaizen spirit is difficult to sustain in a world of instant gratification, fragmented attention, and non-stop chatter. Which makes it all the more valuable.